November 2018. This year's international list of Highly Cited Researchers includes four members of CEF. Now in its fifth year, the citation analysis conducted by the "Web of Science" company Clarivate Analytics identifies influential researchers as determined by their peers around the globe - those who have consistently won recognition in the form of high citation counts over a decade. 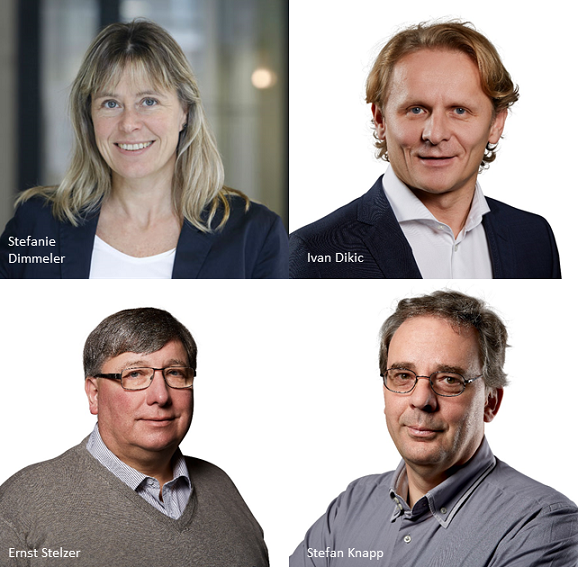 Ivan Dikic, Stefanie Dimmeler, Stefan Knapp and Ernst Stelzer are among those listed for their exceptional performance in the category “Cross-Field”, based on their high impact papers published across several fields. Approximately 6000 researchers worldwide are named in this years’ list. The papers analyzed were published between 2006 to 2016. In addition to the four CEF members, nine other colleagues from Goethe University are also on this year's list of Highly Cited Researchers. Regarding German universities, Goethe University is in second place following Heidelberg University. The global pole position is traditionally taken by Harvard University. “Web of Science“ is a widely used platform for researching academic literature. It indexes all scientific and reviewed publications and also determines how frequently each publication is cited.